"If mums get flowers on Mother's Day, why wouldn't dads get flowers on Father's Day? I mean, how many golf clubs can a man own? Does he really need another pneumatic nailer? How about something that will make him smile and lift his spirits instead?" In the past it was thought that certain types of flowers were better suited to males, such as orchids and flowering plants. Plants with smaller blooms and more foliage were considered to be more masculine. This type of thinking has increasingly been abandoned in favour of an anything goes type of mentality in these enlightened days of gender equality. In the above cited article, it was revealed that it is becoming more commonplace for women to send flowers to men for any occasion, according to interviews with florist. I myself can cite personal experience of this as I was once sent a bouquet of flowers for Valentine's Day from a girlfriend one year and it was a warmly appreciated gesture. Flowers are a great gift for dad on any special day. 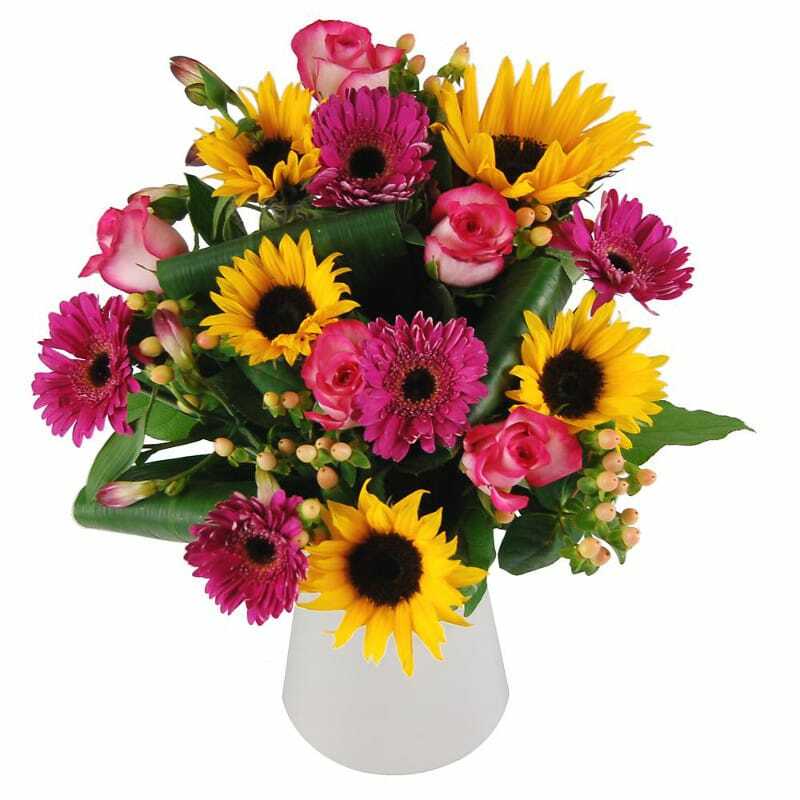 For Father's Day you could arrange to send him a bouquet of fresh seasonal Summer Flowers; think sunflowers, germini, roses, freesia and the like. Something like the Sunny Smiles Bouquet (pictured) is sure to introduce a ray of warmth and good cheer to his day. 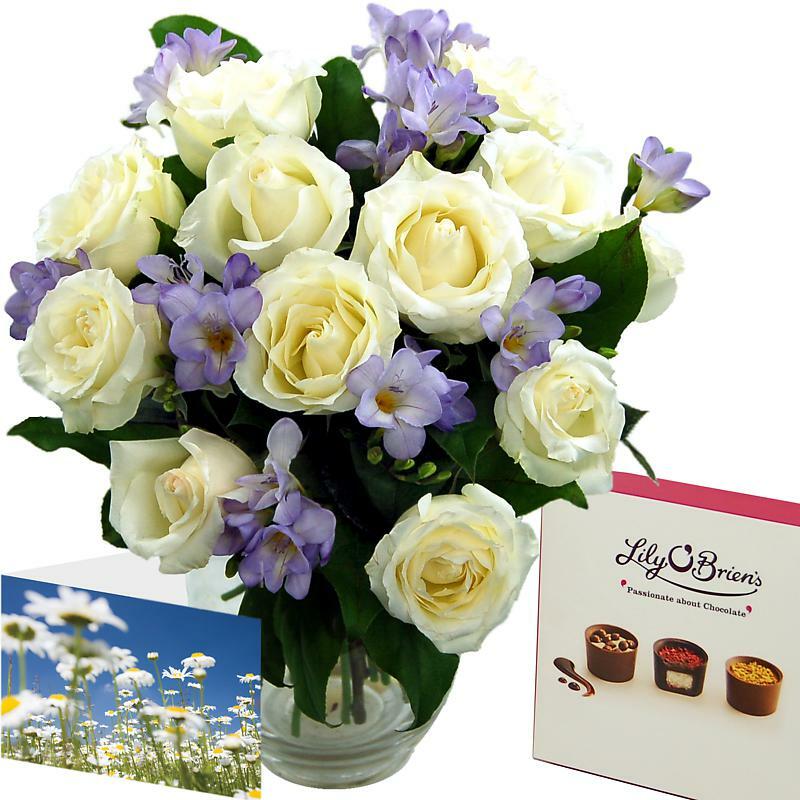 You needn't limit yourself to just a bouquet of flowers either; one of our Clare Florist flower gift sets includes not only a bouquet but also a vase, premium Thornton's chocolates and a handwritten card. Our Ameythst Gift Selection (pictured) comes highly recommended and it's currently on sale at just £35.49 with free standard next working day delivery included. As Father's Day falls on a Sunday, delivery on the day itself can be organised for a small surcharge to ensure your dad gets a pleasant surprise on his special day.